The divinely inspired Solomon in his instructive wisdom, I mean in his Proverbs, praises the woman who keeps her house and loves her husband. . . . he praises her who is engaged honorably at home, who performs her womanly duties with fearless courage, her hands constantly holding the spindle as she prepares double cloaks for her husband, who buys a field in season, and carefully provides food for her servants, and receives her friends at a bountiful table, and who exhibits all other qualities for which he extols in song the modest and industrious woman. While he was usually called “Solomon”, he actually had multiple names. King David called him “Jedidiah” (2 Samuel 12:25), and in Proverbs 31 he is called “King Lemuel”. But these are all just different names for the same man. 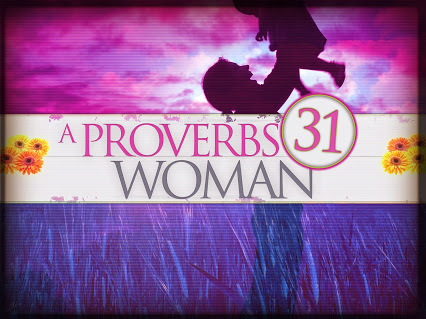 The first verse of Proverbs 31 says this chapter is “the prophecy that his mother taught him.” Thus, Bathsheba is the author of Proverbs 31, and her son–the king–is simply the scribe. What are the implications of Bathsheba being the author of Proverbs 31? We can look at each of these points in turn. 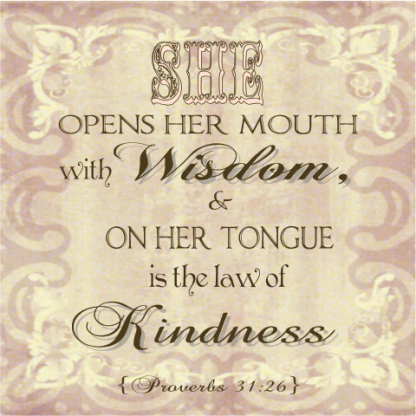 Proverbs 31 was written by a woman. It is not the fantasy of some clueless man. Bathsheba taught her son what godly womanhood looks like, and Solomon took her message to heart. If she had been a hypocrite, it would seem unlikely that her son would be so careful to preserve her teachings on this subject. This suggests that Bathsheba not only wrote Proverbs 31, she also lived it. She set a good example, and she practiced what she preached. It is realistic for a woman to live according to the example set in this passage of Scripture. King David had many sons, but none so great as King Solomon. While his brothers Absalom and Adonijah plotted treason and murder, Solomon was a faithful son. Scripture reveals that a significant part of the difference had to do with parenting. And in this case, it was not due to the parenting of the father . . . it was due to the parenting of the mother. Unfortunately, Scripture is not flattering in regard to David’s aptitude as a godly father. According to 1 Kings 1:6, David never disciplined Adonijah, or asked him “what are you doing?” He may have been a man after God’s own heart, but in this case, he was a failure as a father. Absalom, Adonijah, and Solomon all had the same father, King David. But they had different mothers. 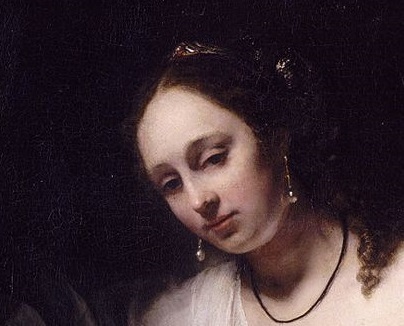 Haggith was the mother of Absalom and Adonijah, and Bathsheba was the mother of Solomon. Adonijah and his brother Absalom may never have received sound teaching or guidance from their parents, but Solomon certainly did. In Proverbs 31, Solomon describes in detail what a godly household is supposed to look like. And he credits this teaching to his mother. Of course, all three children would have been better off if David had stepped up to the plate, and been a godly father. But since he didn’t, the godly motherhood of Bathsheba made all the difference in the world. She diligently taught her son, and made such an impression on him that he never forgot her instruction. In Israel and Judah, the mothers of kings were not always treated with such honor. Scripture says that Asa was a good king, and he removed his own mother from being queen, because she was guilty of idolatry (1 Kings 15:13, 2 Chronicles 15:16). 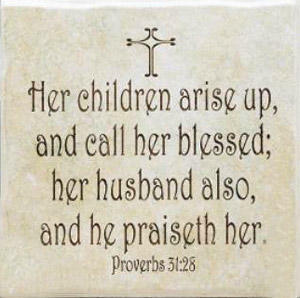 Thus, when King Solomon treats his mother with such high esteem, it is a testament to the godliness of his mother. She was a good woman who taught her son to follow the path of righteousness. Bathsheba taught her son what a godly woman looks like. She set the example. Through her life, and through her direct teaching, she taught her son how to identify a godly wife and mother. Even after he becomes an adult–even after he becomes king–he does not forget his mother’s teaching. Instead, he passes it on. Through the pen of her son, Bathsheba’s teachings are given to the kingdom, and ultimately to the entire world. Not every woman is gifted with the ability to write books, or to speak publicly. Yet that does not mean she is left without a voice. If she is diligent to teach her children well, she eventually wakes up to find that her children have become adult men and women who carry on her message. We remember St. Paul for being an apostle, and for writing most of the New Testament. We do not merely remember his former days of murder, and persecution of the Church. We remember King David for being a man after God’s own heart. We do not merely remember his former adultery and murder. We should remember Bathsheba for being the Proverbs 31 woman. We should not merely remember her affair with King David. Christianity is not a story about people who live flawless lives, and breeze their way into heaven, having never been scarred by sin. Hey Buddy!, I found this information for you: "Bathsheba is the Virtuous Woman of Proverbs 31". Here is the website link: https://russophile.org/bathsheba-is-the-virtuous-woman-of-proverbs-31/. Thank you.